The advantage of working with your home and landscape designer at the same time through the whole design process is huge. We both interview with you from the beginning of your project, we both walk the site with you, together before we get too far down the design process. Joey creates a floor plan based on your goals, site restrictions, neighborhood requirements, style and how we both envision the outdoor space working with the indoor space. We collaborate on everything from the kitchen layout to how the driveway interacts with the front door. We find that when we are given the opportunity to work together on the whole design we leave less guesswork in the field, end up with a more thoughtful use of the site and create opportunities that may have been missed, otherwise. Another huge advantage is considering the landscape budget from the beginning instead of leaving it for the end when the budget has been skimmed down to not enough to give you the outdoor space you had thought you would have. When we interview with you, we either meet on your site or it’s really nice to meet you at our office and then go see the site, together. In our office we have the opportunity to be personable with you in a comfortable environment, hear all of your goals, get a chance to get to acquainted with each other and we have the chance to show you some examples of our work. We review the design process with you, how we work together, how we work with you, show you examples of our 3-D models and discuss how our fee schedule works. We like to be open and honest to reduce surprises for any of us. A percentage of our work is not done together, we find those projects often end up with grade issues, forgotten landscape budgets, missed opportunities and a lack of a cohesive design that the project could have otherwise had. Designing the whole project together allows us to consider all of your goals and bring them together. 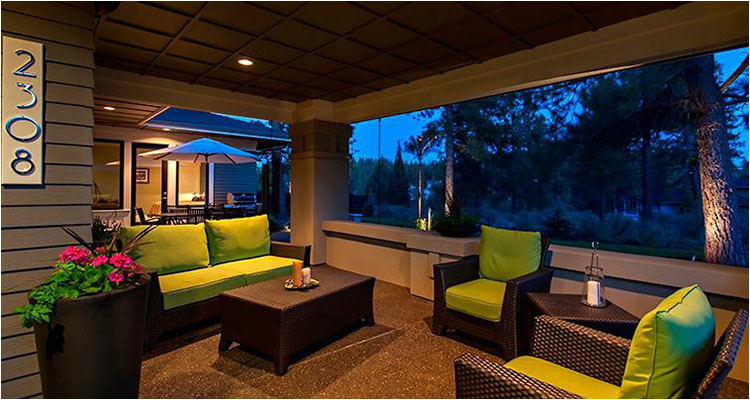 Living in Central Oregon makes you want to spend time outside, we feel if we design you a space that makes you feel like you’re living the Central Oregon dream from the inside to the outside of your home, then we have succeeded. Working with us at Homeland Design, you’ll find that we push the design to meet your budget goals. We will help you find value where you most want to have it! There’s no need to spend tens of thousands extra in excavation or concrete and steel when we could design smarter and leave your money to be spent in your kitchen, master bath, patio spaces and those other high-value spaces. We are realistic in guiding you towards your goals and will tell you if what you’re asking for will be a compromise in order to achieve it. 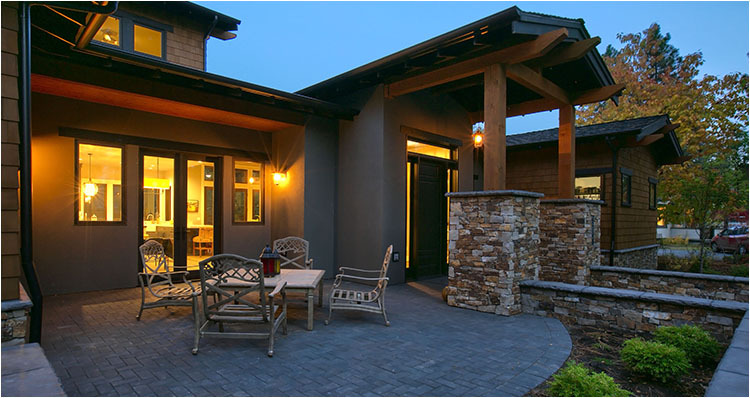 Our homes are designed for the landscape and our landscapes designed for the home. We blend the architectural style and neighborhood vibe to create a cohesive space that you will enjoy for many years to come. We look forward to talking to you about our difference in approach and why we feel we are the best fit for your custom home and landscape design. 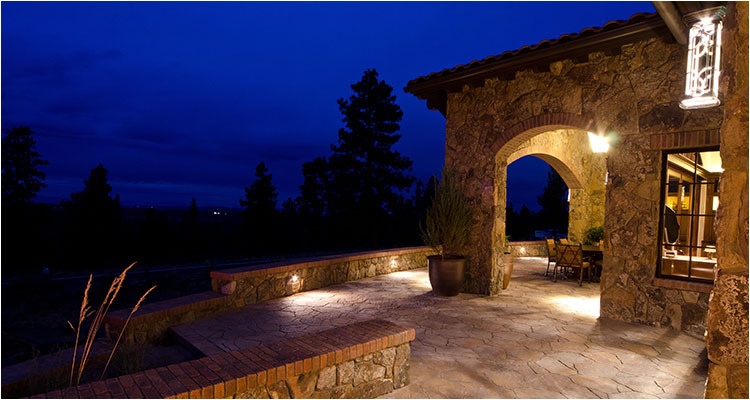 Contact us today so we can show you the difference we will make to customizing new dream home or landscaping project!